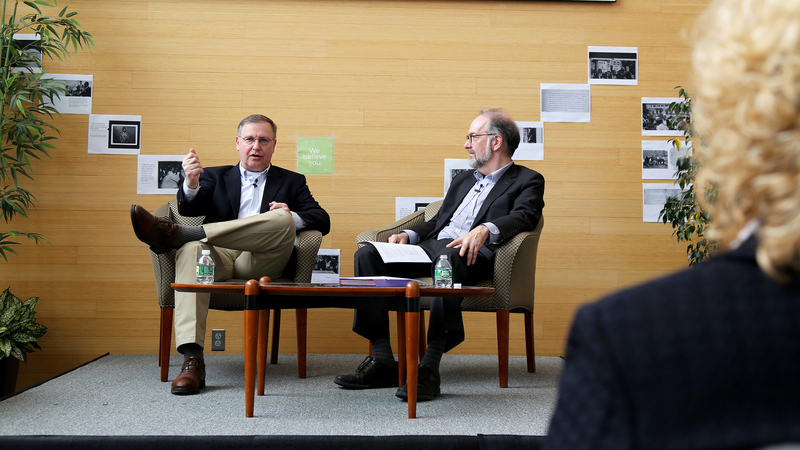 Dean David Weil and Chuck Rosenberg discussed his long career in federal law, including firsthand experience working for special counsel Robert Mueller, former FBI Director James Comey and Bill Barr, the nominee for U.S. Attorney General. 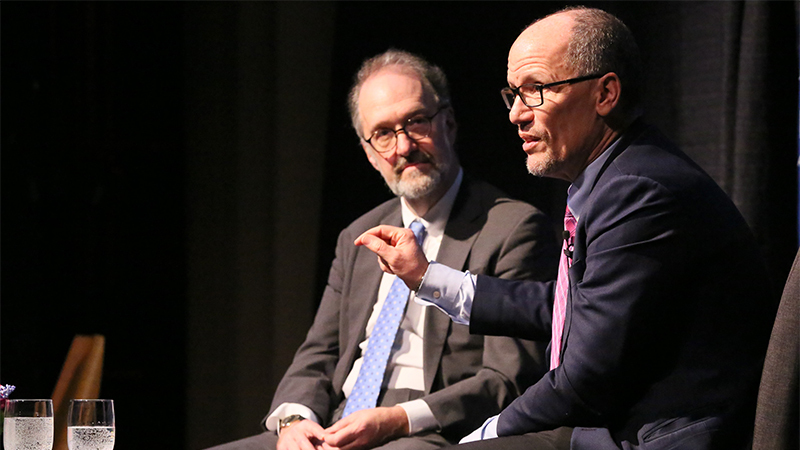 “Having worked for him, I can tell you unreservedly, I’ve never seen a human being work harder than Bob Mueller," said Rosenberg, who urged the audience to be patient with the Russia investigation. On November 7, one day after the 2018 midterm elections, Heller welcomed retired U.S. Sen. Tom Harkin (D-IA 1984-2014) for two talks that covered his decades-long advocacy for labor and disability rights. 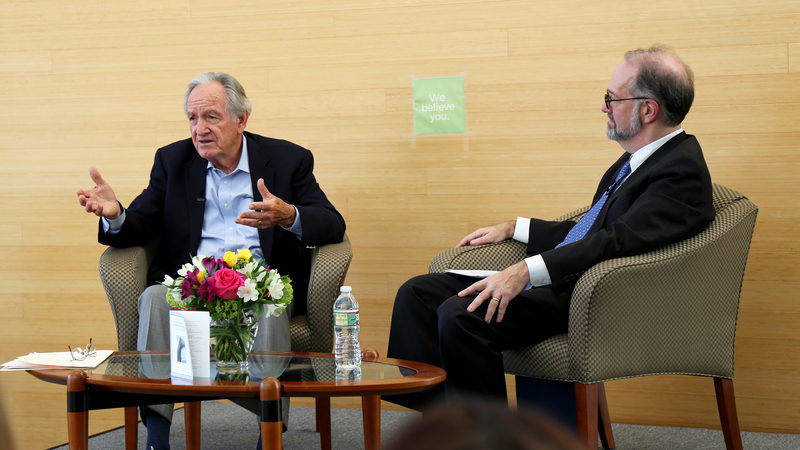 Harkin’s visit began with the “Conversations with the Dean” event hosted by Dean David Weil in Zinner Forum. The senator, who spent a total of 40 years in Congress (10 in the House of Representatives, then 30 in the Senate), described his path from small town Iowa to Capitol Hill. In the evening, Sen. Harkin returned to Heller as the featured speaker at the Lurie Institute’s annual Distinguished Lecture in Disability Policy. As the lead proponent of the Americans with Disabilities Act (ADA) and the ADA Amendments Act of 2008, Harkin is well known for his long-time policy advocacy for the disability community. 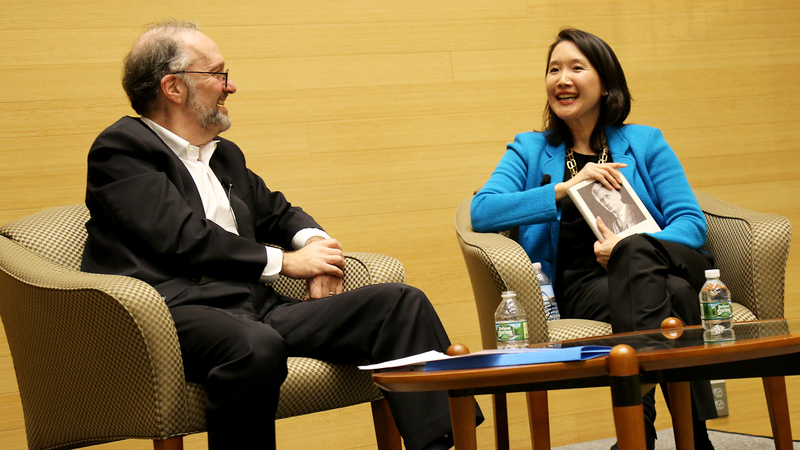 Just days removed from finishing her term as the chair of the Equal Employment Opportunity Commission (EEOC), Jenny Yang came to the Heller School to discuss what it was like to serve through the first year of an administration that didn’t appoint her, the importance of changing workplace culture around sexual harassment in light of the #MeToo movement and the new challenges of protecting workers' fractured work environments. 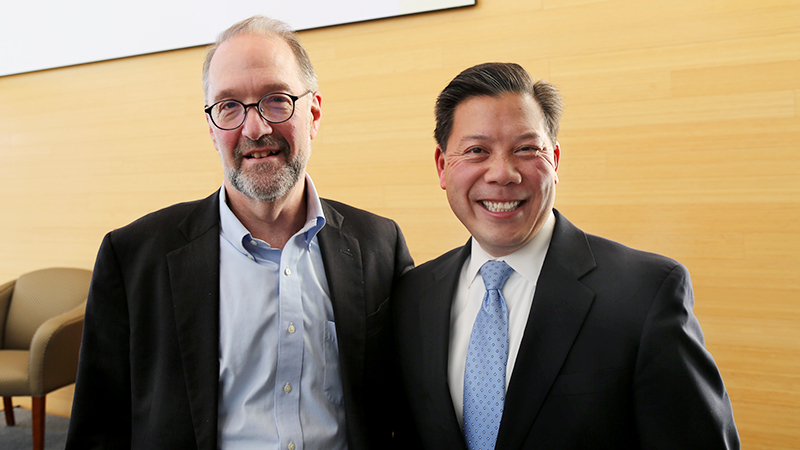 Heller welcomed former Deputy Secretary of Labor and Cabinet Secretary Chris Lu, who worked with Dean Weil at the Department of Labor during the final three years of the Obama administration. They discussed the value of public service. "Public service isn’t where you work or what you wear to work. It’s a mindset about trying to solve the problems of today and trying to help people you don’t even know. As long as you adopt that mindset, you can do good, no matter where you work," said Lu. Former Washington, D.C. Mayor Anthony "Tony" Williams, joined the Heller community in Zinner Forum for the first installment of "Conversations with the Dean." Williams currently serves as chief executive officer and executive director of a D.C.-based nonprofit organization called the Federal City Council. 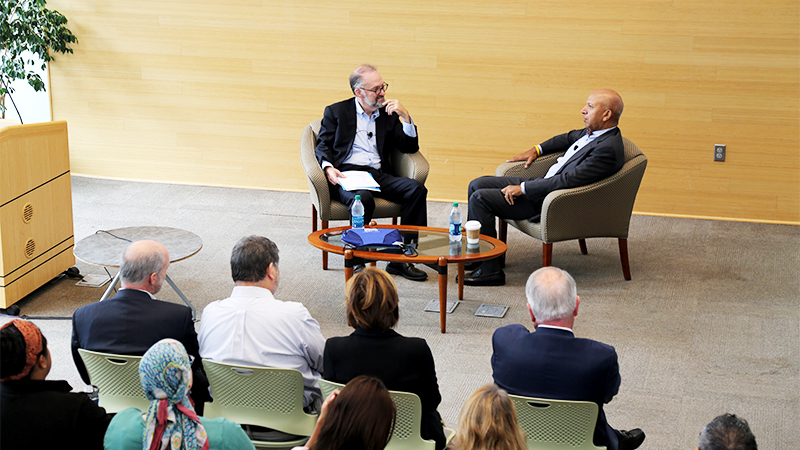 Weil and Williams spoke at length about the latter's career as a public servant in the nation's capital, where he first served as the District's chief financial officer, and later as a two-term mayor.